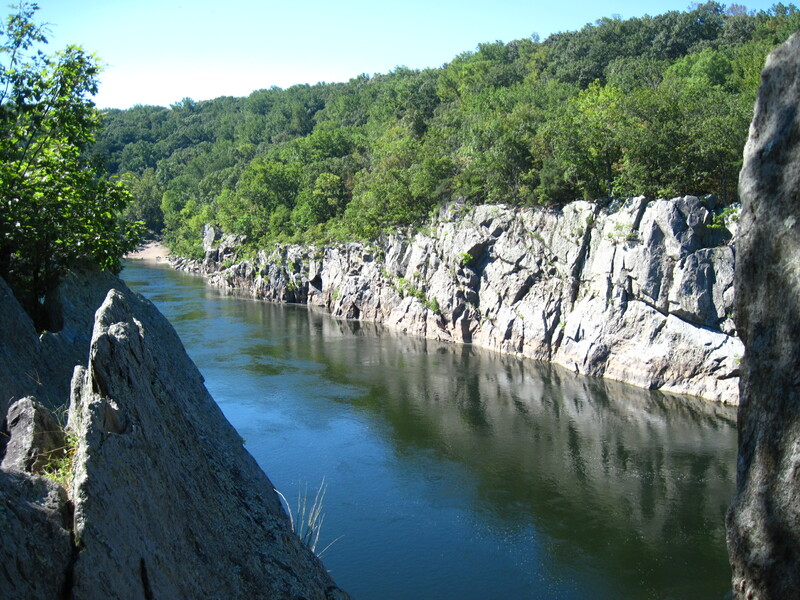 Surrounded by stone above the Potomac. I ask what I’ll never stop asking: What is it about sitting still near moving water? Is it the green smell of water near? The tickle-textures of wind on glassy surfaces? The smooth push of motion, stirred by boulders deep? Or is it remembering the river I saw yesterday, fifteen miles downstream, in the city? Thunderstorms mean a purge of streets, surge of storm water. The stench of sewage swamping the air. A hot brown bulge of runoff entering this same river, pushing sick bubbles and floating empty bottles from bottled water. More postcards: from Assateague Island, from the bare woods. Not the same as the great open spaces of Montana, is it? Yes, a little different! But the good thing is, different isn’t always bad.